One of the Cadets' performers this summer is a crucial part of the show but he doesn't play a horn nor hold drum sticks. And, he doesn't spin a flag either. 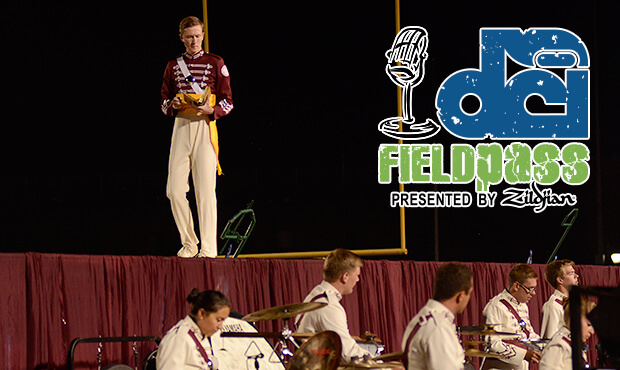 In today's Field Pass presented by Zildjian, Dan Potter introduces us to Jordan Koenig, the narrator for "Promise: An American Portrait." Have a Field Pass question, comment or request? Leave a message for Dan Potter by phone at 317.275.1212 x40 or by e-mail at fieldpass@dci.org. Subscribe to this podcast through iTunes. Become a fan of the Field Pass on Facebook. Visit Zildjian.com.